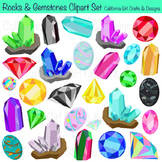 I created this project for my students to complete during our rocks and minerals unit. This project can last anywhere from one to two weeks. I typically review the rubric with my students and then go over the guidelines. Included in this product are the guidelines and the rubric. 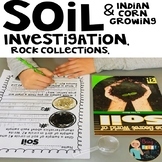 Also included in: Grade 3 Ohio Science BUNDLE: Matter, Rocks, Energy, Animal Life Cycles & More! Also included in: Storytown 2nd Grade Trifolds Bundle! This product goes along with the Non-fiction text, Let's Go Rock Collecting by Roma Gans. Kids love this book! and Rocks! This comprehension packet contains short answer questions, multiple choice question, true or false, fill in the blank and an igneous, sedimentary and metamorphic rock word sort. Students answer the questions after reading the book, Let's Go Rock Collecting. They can erase inside the frame to reveal the correct answer and see if they were correct. The sample file shows the first page, there are nine total. These questions go along with the book "Let's Go Rock Collecting" by Roma Gans. These questions can be used independently with students in small group or whole group. This is just a quick set of labels for classes or students doing rock collections. It has 3 big headings for the 3 rock families, in color or B&W, and then 2 styles of labels that could be used to identify each rock.